So you’re sitting there. It’s Saturday morning and you’re having a cup of coffee with your lovely future significant other, talking away about what life will be like when you’re finally married. But then it dawns on you… Whoops, we don’t even actually have our wedding planned out yet! Maybe you’re still a full six months away. Maybe it’s three. Or maybe you’ve procrastinated, and your big day is just a few short weeks from today. Regardless, you need to have a wedding day timeline in place, and the sooner the better. Well I’ve been through my fair share of weddings over the last 8 years, and have picked up a few nuggets of wisdom along that way. So to get you started on a wedding itinerary that will have everything rolling along like a well-oiled machine on the day that counts the most, I teamed up with the Seaport Wedding Gurus Alyssa, Kelcee, and Michelle (who run an amazing venue by the way) to put together 3 different wedding day timeline templates for you built around the most common ceremony times, along with 7 straightforward steps for you to follow to be as prepared as possible come wedding day. They say the best time to plant a tree is 20 years ago. The second best time is today. Well everyone around you is mostly full of crap. Because while some aspects of the process can and should be fun, the majority of the wedding planning process is pressure-packed and stressful. First, take a step back and calm yourself, Zen Buddhist monk style. Close your eyes. Take a deep breath. No matter what happens, you are going to get married. You’ve already done the hard part and found someone you want to spend the rest of your life with. And even if your wedding ends up a complete disaster (which it won’t be if you keep reading), you’d still come out the other end with a wonderful union and a life of opportunity ahead of you. That all being said, it’s definitely a fact that having a well-structured plan for your wedding day will make it better than it would be otherwise. And earlier equals easier. Let’s not get overwhelmed though, because we can take it step by step. Let’s keep going. When is the photographer showing up? Do we need to have the rings somewhere for them? What time is our hair appointment? I wonder if the bridesmaids are used to being up that early? How is your grandma going to get down to the ceremony by that time? And what if there aren’t enough shuttles coming from the hotel? How long will it take to Uber everyone over? Where and when are you having your ceremony? And how long will it last? Starting with kinda the reason you’re doing all this stuff in the first place: the ceremony. If you already know when and where this is a happening, great! Plug it in and move onto the next question. If you don’t quite know when you should have your ceremony though, this is the ideal place to start. Figure out when it’s going to be and approximately how long it will be. 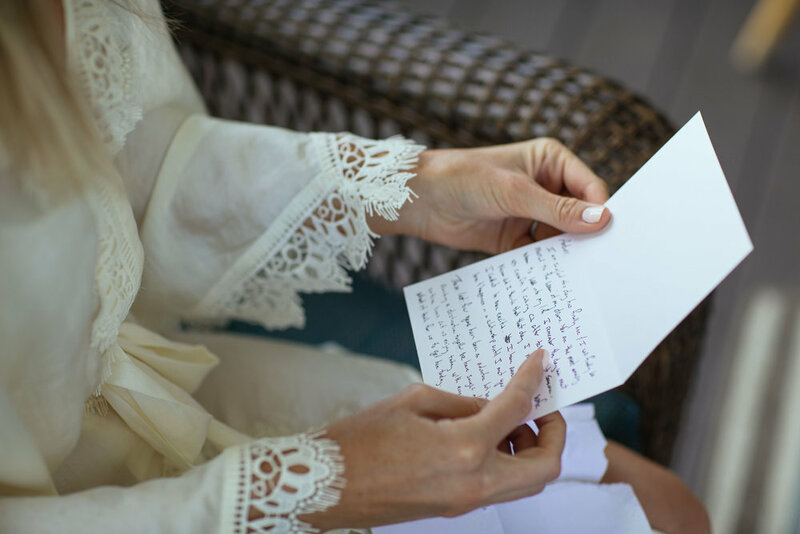 You can ask your officiant, family, or other happily married couples what they experienced to get an idea. Or you can design your own ceremony from scratch and estimate the timing yourself. Now before we cover a few rules of thumb, below are a choice of templates you can use as a starting point to follow along, mapped to the 3 most common ceremony times. Just click the link, then select “File” and “Make a copy” to create your own editable version to fill out as you follow along. The ideal ceremony length is somewhere between 30 and 60 minutes. 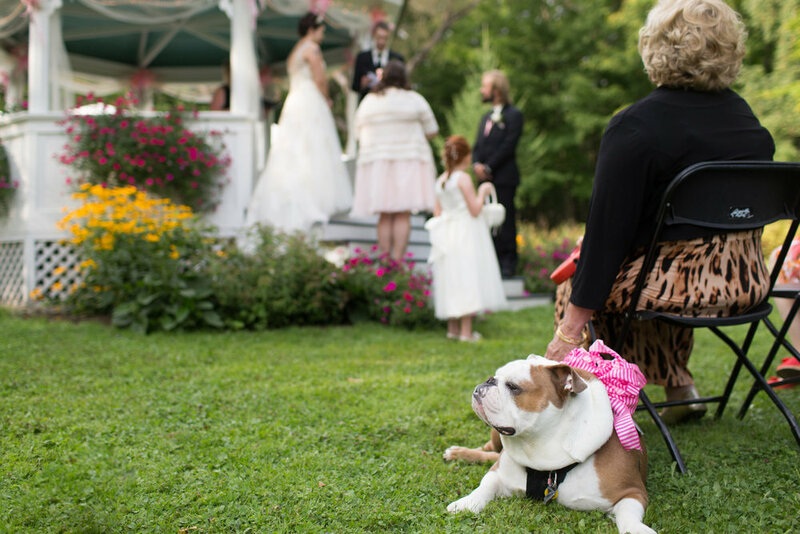 You want to allow enough time for the procession of everyone to come in, for the officiant for your ceremony to be able to go through the program and vows without rushing, and enough time for everyone to file out comfortably afterwards. Make sure there aren’t any major time constraints prior to the ceremony that would prevent your bridal party from being able to be there ahead of time. Communicate with your ceremony location ahead of time to make sure they can accommodate your preferences. When and how long do you want your reception to be? This is the other big piece of the puzzle. When you have the reception booked for will help you determine when everything else should happen around it. And your reception length will help determine when and how many other “extras” (e.g. dances, bouquet toss, cutting the cake, etc.) will need to happen. Now you may actually have this planned out prior to your ceremony. Or they might be happening at the same location. No problem, just adjust accordingly. Side note: make sure you take into account travel time from the ceremony to the reception (if they’re not in the same place) as well. The ideal reception length (for a traditional wedding) is usually between 4 to 6 hours, allowing 1 hour for cocktails, 1-2 hours for dinner (including toasts), and 2-3 hours for dancing and other activities. I know a lot of people do less traditional weddings though, so this is by no means set in stone. One way you can approach the process is to take the time you would like your wedding to end and work the time backwards. A prime example: You and your fiancé choose to end your wedding at 11:00pm, this means you have 4 hours of dinner and dance, followed by a 1 hour cocktail reception, so you’ve landed backwards in time at 6:00pm. Simple, right? The maximum length between your ceremony and reception should be around 1 hour. Anything more than that and the mob (your guests) will start to get restless. How long do you have your photographer for? For most couples, photos are an essential element of their wedding day. It’s the best way to capture those memories so that you can carry them with you for the rest of your life. And so they matter… a lot! That being said, the time you have with your photographer needs to align with your ceremony and reception (and often times before that as well) so that you capture all of the moments you want. Ideally you have your photographer for a minimum of 4 hours so that nothing is rushed, but depending on how much of the pre-ceremony activities and reception you want to capture, this can widely vary. You’ll want to discuss everything with your photographer ahead of time so that you clarify which pictures you want, what needs to be shot when, and how to make sure you get the best lighting possible. 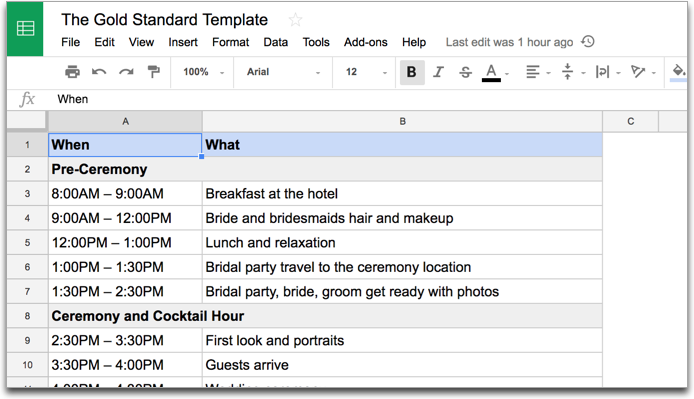 Okay now that you have the big stuff taken care of in your wedding itinerary, now it’s time to fill in all of those little details… you know, the ones that drive you nuts trying to work out. Now a big key here is going to be consulting your “team” of wedding experts (a.k.a. all of your vendors and your wedding planner if you’re using one) to ensure the timeline you’re thinking about is realistic. Below are some of the key questions to answer: yourself first, but then with your photographer, DJ, caterer, etc. Some people have a clear image in their head of exactly which photos they want. Others just want to go with the flow. When is sunset in relation to your ceremony and reception? How big is the bridal party and family formal list? What extra shots do you want (e.g. getting ready, rings, bouquets, the reception area)? Answer these and then review your wedding day timeline with your photographer to make sure there aren’t any logistical issues with what you’re planning. They’ll be able to tell you exactly how long your shot list will take, and can help guide you to realistic timing, especially if getting ready photos are a big part of your pre-ceremony day. Allow at least 30 minutes for the first look. Calculate when the “golden hour” will be (the hour before sunset) at the time of year you’ll be having your wedding and take advantage of that time for photos if you can. Provide a list of the family formal photos you’ll want to have done ahead of time to your photographer so they can knock those out quickly and make sure not to miss anyone. Are you planning on a “short and sweet” ceremony? Or one that’s longer, more traditional, or religious? Here you’ll want to decide what needs to happen before, during, and after the ceremony so that it’s properly coordinated. The good news? Your guests are all in one place, and there are less moving parts than the reception in most cases. So they key things to get right here have more to do with each person knowing their part in the ceremony and practicing it beforehand. Other than that, once the length of the program is set, there’s not much more you need to think about in terms of timeline. If you’re writing your own program, make sure you “act it out” in some way beforehand so that you know that it will fit within the time you have available for the ceremony. If you’re following a traditional ceremony program, defer to the experts and let them guide you in terms of length and coordination. Thankfully, once you have your reception “framed” with a start time and stopping time, it makes it a bit easier to make decisions on when things need to happen during the time you have available. Side note: it usually is the case that your DJ ends up being the “composer” of your reception. As much as you might think things will happen on time if you just plan them out appropriately, your DJ is usually the guy or gal who keeps everything moving along and pulls it all together. So make sure they’re involved to give perspective on what you want to have happen. Do you want/need to use the full cocktail hour or do you want this period to be shortened to spend time on other things? Will you be making an entrance with your bridal party into the reception? Are you going to be doing a first dance with your bride/groom? Are you going to be doing parent dances? How many toasts will there be and how long to estimate for them? Will you being doing a bouquet toss? Garter throw? Cake cutting? Are you going to plan on a last dance? Will you be doing an official exit from the reception? When you make your list of all the formalities and/or significant moments you want to be included in your wedding, choose the ones that are most important to you and your fiancé to make sure they don’t take up the entire night and leave no room for fun. I know you didn’t hire entertainment for nothing! Also, try your best to calculate how long these formalities will each take. So if you know your Maid of Honor speech will likely throw it back to the college days, just embrace it and plan accordingly! Don’t spread things out too much and create dead time. You’d rather have people either eating, drinking, or dancing rather than sitting around. One of the most important details of a wedding is food. Make sure to consult your culinary professional and ask for specific timing they need to serve the food and provide the best level of service for your guests. Proactively ask questions about adequate timing for each course depending on the style of the culinary experience you are planning. 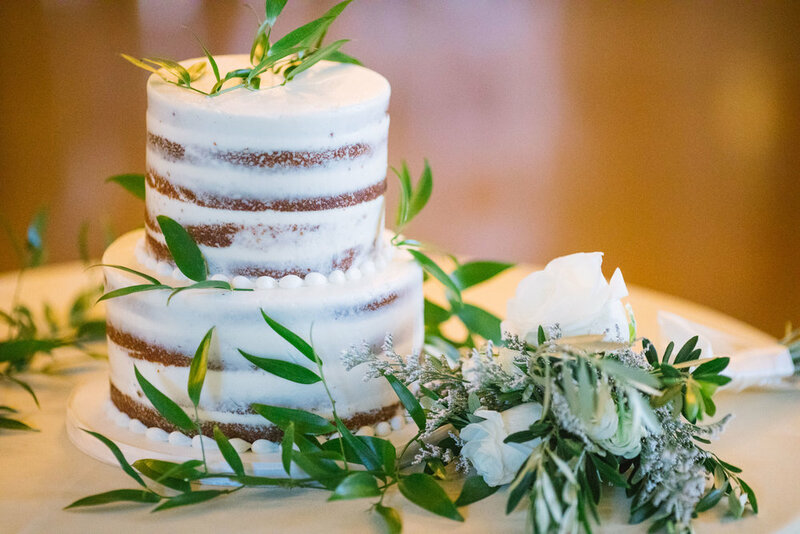 Consider front-loading the cake cutting, bouquet toss, and other extras so that your guests have more time on the dance floor. You never know when a wardrobe malfunction will strike you or a member of the bridal party, and those bustles that always seem so easy in the dress shop is not always as so day-of. And there’s nothing like having to rush, run around, and reorganize on the fly to add stress to a wedding day. So once you have your general timeline and your particulars sorted out, it’s time to add in some prep time ahead of the ceremony and reception, and buffer time in-between events. And this is especially critical if you have family members that are notoriously late. I’ve had some weddings pad a full 30 minutes to ensure there were no day-of issues! A breakfast or brunch at the hotel or a restaurant before getting started for the day is a great way to “round up the troops” and make sure that everyone is together and ready to roll before the day kicks off. Allow approximately 2 hours for bride and bridesmaids’ hair and makeup, not including travel to and from the location if they’re not coming to you. This will ease tension if you’re not worried about getting everything done quickly. Make sure to allow at least 30 minute cushion for getting ready prior to the ceremony. If you’re doing a first look and photos beforehand, make sure to leave time in-between that session and the start of the ceremony to allow the bridal party to get settled. And the biggie: allow time for traffic and travel. Map out the route between your hotel, the ceremony location, and your reception (if they’re in different locations). And add some extra time for traffic (you can actually view high traffic times directly in Google Maps), so that you’re not caught behind schedule because of travel delay. According to Moore’s Law, anything that can go wrong, will go wrong. Not exactly what you’d prefer to think about ahead of your wedding day, but the reality is: things happen, and you should probably be prepared ahead of time. And with weddings it’s most namely: weather. Think about and discuss with your ceremony and reception locations what the contingency plan will be if it rains. If everything is indoors it’s obviously not an issue, but if you have outdoor portions you’ll want to have an alternative ready just in case. Additionally, with your wedding photos, have a plan in place if you’re trying to get specific “golden hour” shots with your photographer. Make sure the timing still works if you have to adjust for weather or if it’s overcast. Again, you just want to have an idea of what the plan is, but you don’t need to go crazy. There’s only so much you can control, so no sense in stressing yourself out. Okay at this point you’ve constructed this beautifully orchestrated wedding timeline. Now what? You can consider giving a copy out to other family members or guests, but just like the problem of having too many cooks in the kitchen, you may want to keep a shortlist of who controls the schedule. Because you’ve planned oh so well ahead of time, don’t sweat the small stuff on wedding day! You want to have a general idea of the order of things but you will definitely run either early or late based on your schedule, so have fun and relax! Give your itinerary to your designated timekeepers and then just let it happen, and enjoy time with friends, family, and loved ones. Well if you haven’t done so already, start off with one of the three templates I’ve prepared for you, mapped to the most common ceremony start times. So to start, click the link to the appropriate template below, then select “File” and “Make a copy” to create your own editable version to fill out. Then work through the list of steps in the post, customize, and publish. And let me know if you have any questions in the comments! I’m happy to help. Best wishes on your wedding day! Thanks again to Alyssa, Kelcee, and Michelle from Seaport Weddings for their help with this post!